30% of the most important scientific research worldwide is carried out by scientists in Europe. The EU is working hard to provide clear and transparent rules and to create a good ecosystem for innovators. We need strategic investments but also a human-centred approach. The dialogue was held in an exceptionally positive atmosphere with many on topic questions and comments from the audience. The audience included university students, professors and other education professionals. During a brief opening speech, Commissioner Gabriel gave several examples of how digitalisation can accelerate economic development, especially in smaller regions and rural areas. She also emphasised the importance of digital skills and presented some of the actions that the EU undertook in order to create new opportunities for young people in Europe: “Digital technologies are a great opportunity for Bulgaria to fulfil its potential and catch up with the strongest economies in the EU. Digitalisation brings great benefits for our societies and can help us achieve social equality” she said. 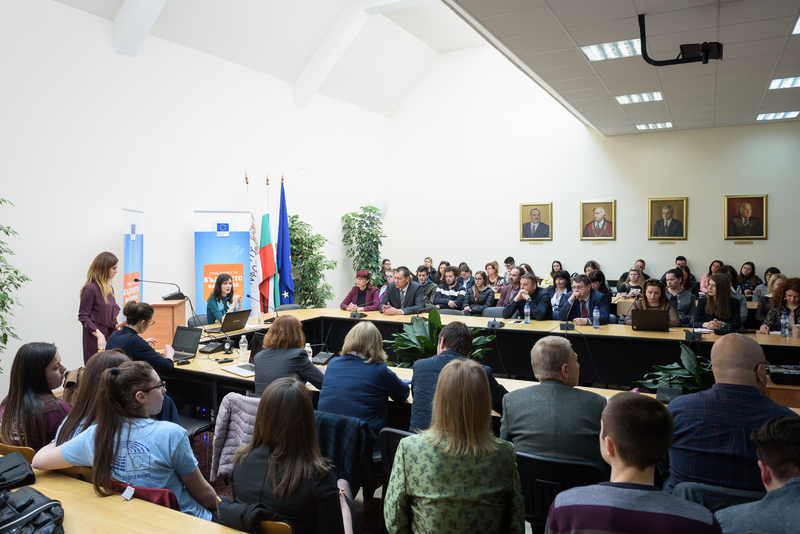 Questions from the audience addressed a large list of topics linked to digitalisation, disinformation and the EU’s initiatives for young people. Many participants expressed concerns that as far as digitalisation and new technologies are concerned, the EU remains behind its main competitors from the United States and China. Another important topic of the Dialogue was disinformation and the threat that fake news bring to democracy. Several questions from the audience were linked to the EU action against fake accounts and disinformation in view of the coming European Parliament elections. Commissioner Gabriel explained that the European Commission is requiring serious actions from big online platforms such as Google, Twitter and Facebook. She also remarked that the European Commission is aware of the need for clear regulation against disinformation and is working hard to ensure that such regulation will not infringe on the freedom of expression in Europe.